#SundayRoundup of #Books #Week 8 | Stacking My Book Shelves! Goodbye to February and hello to March! Wow, that went fast. As you know this is my weekly recount of books and reviews. We got hit Friday with the snowstorm and our power has been out. Luckily, our friends took all of us in and the dogs...Oh what a mess, but we are warm! I hope all is well with you and you have read some awesome books. Leave a comment so I can come see what you have! 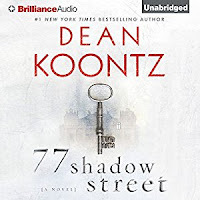 I am really excited about these Audiobooks! Click on the covers for the reviews! That's my week in books. How has your week treated you? Stillhouse Lake is on my TBR and I would love to read People Like Us too. You are a very busy lady with your reading. oh you are reading the Replacements! I love Brenna's writing style though for some reason I have DNF her books at 60%. They all start strong with me and then I get bored. I still want to give them another try. So dark and gothic! Looking forward to hear your thoughts on it and People Like Us. We didn't get the snow just everything else, a friend lost her power but we didn't thank goodness. I hope you are able to go home soon. You had a great reading week. Have a wonderful week, Mary! Happy Reading! Lady Midnight and Lord of Shadows are my favorite audiobooks!!!!! Enjoy! So many great looking books. Happy reading. Congrats on your wins!! Lots of people won this week!! Mandy Roth has nice looking books-hope you like it! I heard about the Rachel Caine title - it looks really good and the reviews sound great! I hope you're loving it. Congratulations on your wins, too! Have a wonderful week - happy reading! Congrats on your wins! Receiving books in the post is always so much more exciting than bills! 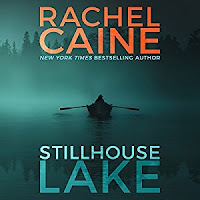 I did not really enjoy Stillhouse Lake - I listened to the audiobook too, but I hope you will! 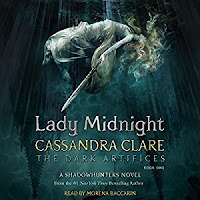 But Lady Midnight looks awesome! The storms were terrible! I hope you are able to return home soon. 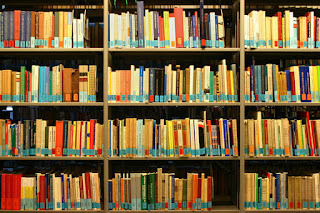 I like the look of some of those books. Thank you for sharing them. I'm glad you had a place to go when your power went out! But I hope you can go home soon. I haven't read a Sheila Roberts in ages (not because I don't like her but just because I've been busy with other books.) That one looks so springlike and tempting! Enjoy all your new books, and have a great week! I have had Stillhouse Lake for a while...really must read it! Enjoy those books, and thanks for sharing. Thanks for visiting my blog. I'll be curious to hear about The Replacement as it looks and sounds so creepy. Happy reading. I love how you read many genres. I try to do that as well. Sorry to hear about the power failing, hope it comes back on soon. Happy Reading. The Replacements has been on my TBR forever. I hope you are enjoying it. I need to make time. I hope the weather has let up? Have a warm, safe week ahead! I keep seeing People Like Us this week! It's on my TBR but I might not to get to it for a while. 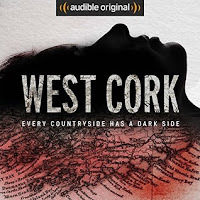 Glad you enjoyed West Cork. I was a bit skeptical of that one. And the Cassandra Clare one looks really good! Oh no, I hope you get power back soon! That's wonderful to have friends nearby with the space (and the electricity!) to have you over while its getting fixed :) Did you like People Like Us? I've been seeing it on a lot of TBRs lately and I must admit the synopsis is intriguing. Hope you have a great week! I have People Like Us on my tbr. Will look for your review! Thanks for stopping by my stacking. This is a great book roundup. Lady Midnight was pretty long. The audio must be close to a full day, no? I heard it's really good though. I really, really want to read People Like Us. Can't wait to see what you thought. What a nice haul you have this week - I hardly ever win any books, but it is always fun when I do! Hope you enjoy your new treasures. Sorry to hear about the power outage! Hope it's restored soon. I heard that storm was a rough one. Stillhouse Lake looks so good, I love that mysterious cover, and I've got People Like Us right now. So far i like it. The Girl I Used to Be looks interesting too, I read my first Mary Torjussen book last year- i'll have to check that one out. Nice haul! I really want to read Stillhouse Lake, I've heard fantastic things! I hope you'll enjoy all the books you got! I hope things will get better soon with the aftermath of the snowstorm! I got Act of Mercy as well. I've been wanting to read People Like Us, so I'm curious if you liked it. I liked Lady Midnight and need to finish the next audio for this series. Hope they get your power back up and running soon. I am so glad to hear that your friends were able to take you in during the power outage. I loved the audiobook of Stillhouse Lake and hope you do as well. I am really looking forward to starting Killman Creek very soon. Have a great week and stay warm! Ooooo, Smoke Secrets has a pretty cover!! I hope you get your power back earlier than expected! Ooh, so many great books. We enjoy some of the same genres and authors! That was nice of your friends to take all of you in. Crossing fingers the worst of winter is finally nearing an end:) Stay warm. I have the ebook of Stillhouse Lake languishing on my TBR - and I need to get to it! I think your friends are amazing and I hope you are able to get your power back and return home as soon as possible. Let's hope the coming week is FAR less eventful! Ooohhhh...love the books on your list. Enjoy them! Have a great week! Wow, looks like a bunch of great books. I still need to read the Rachel Caine ones. I'm so glad you had friends who would take you AND your pups in. Stay warm and safe! Hope you electric is on sooner than you think. Gosh! I read The Replacement so long ago! Sometimes I even forget it exists. Hope you enjoy it! I hope your power is back on soon. That storm was a doozy from the sounds of it! Congratulations on your bookish wins! Stillhouse Lake is on my wish list. It sounds like something I will really like. I enjoyed Caine's Weather Warden books. I have been hearing good things about People Like Us. I look forward to reading your thoughts on it. I hope you have a great week! Looks like a great assortment of books for everyone! 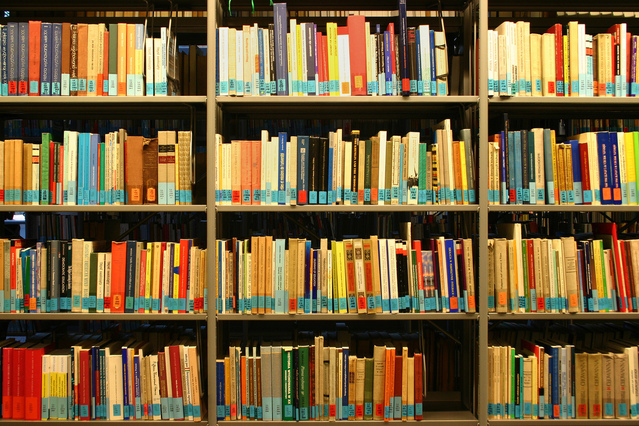 Lots of lovely books for you! :-) Enjoy! Yay for Lady Midnight! I love Shadowhunter books! I really do. Congrats on the winnings! I actually found out I won some books this week so I'll be posting about them when they come in. :) Thanks for stopping by my blog! Have a great week! I hope your power gets restored ASAP! Looks like you got a lot of great new reads this week. I still need to read Stillhouse Lake. That has been on my TBR for a while now. Happy reading! Lady Midnight looks good, I love Cassandra Clare books! Hope you enjoy your books and have a great week! I still haven´t read Lady Midnight, need to catch up. Looks like some great books there! Hope you enjoy! Oh I loved listening to Lady Midnight and then Lord of Shadows it really made things that much better plus I realized I had been saying some of the shadowhunter words way wrong all these years! Good list of awesome, mostly spooky books. I hope by now you are able to be back home with some power. How are you enjoying the audiobook of Lady Midnight? I enjoyed the book more than I thought I would last year. Hopefully you have power back on and it's wonderful that you had someone to take you and your family in. I have Stillhouse Lake, I just need to find time to read it. Have a great week and enjoy all your new books. Nice, I have Lady Midnight on my shelf but I've been waiting on the final instalment to be released before diving in. Roll on December! This winter has been something. Glad yall had a safe place to hunker down for the outage. Caine's book look so good! I need to get to it soon.